Ecommerce businesses have steadily grown through the years with 2015 being one of the most successful years for the online retailers. Due to the amount of technological advances of shopping apps, quick shipping, and unique products, it is of no surprise that more and more consumers are interested in shopping through online stores. You can start an ecommerce business and grow your business to increase online sales. If you are considering ecommerce as the solution to your entrepreneurship dreams, you should get in on it now. Why? Because the ecommerce industry is expected to grow in the coming years by as much as 25%. And that is just the worldwide figure. Here in the States alone, this type of e-business is expected to grow at a rate of 16.5% in the next two years. 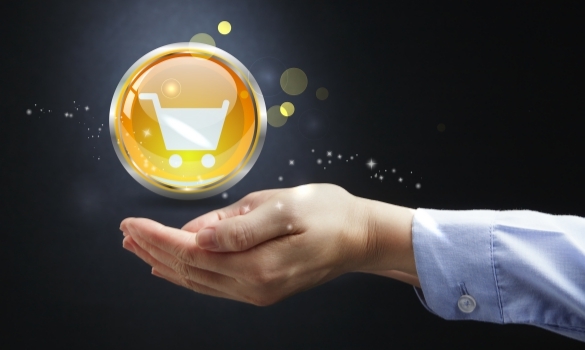 If you want to get into a growing market, ecommerce is the perfect industry to do just that. However, as the ecommerce market has grown, so has the competition. From large corporations with both an online presence and a storefront to merchants like Amazon and Wayfair to small independent businesses, the Internet is saturated with ecommerce websites. Making a name and growing your business successfully can be challenging but with the right approach, it is possible for your online business to grow into a top competitor. The beauty behind an ecommerce store is that customers shop online, thus you do not need to worry about having a storefront, retail employees, or any other expenses that comes with a walk-in business. However, because all products are sold online, you will need somewhere to house all of your products until such time they are bought and shipped. You may also need some industrial products to keep your warehouse organized. Depending upon the size of your business, you might find that a large company warehouse fits your needs, as it can house a large amount of items, and, if big enough, can act as your business’s headquarters. From there you can handle shipping and processing, bookkeeping, and any other office work your business requires. Smaller and large businesses alike have found outsourcing to be a smart way to conduct business, as outsourcing allows businesses to save money without sacrificing quality. Outsourcing is an extremely efficient way to run a business, as you are delegating certain tasks to a competent business instead of having to pay a salary to someone in-house. For instance, consider outsourcing your payroll services, as it helps to simplify your business. Whereas hiring an employee to handle payroll requires you to pay them a salary-with-benefits-package, outsourcing to a company allows you to skip the middle man, so to speak, only paying for the service. The one area ecommerce stores are lacking in is the customer experience, as online shopping does not allow customers the chance to look at items directly, touch them or try them out, or have any direct communication with an employee. Storefronts still have the upper hand when it comes to customer service, as there is an atmosphere they can capture within their store that can keep customers coming back over and over again. Moreover, should a customer have a question, there is an employee who can offer them the immediate help they need. While ecommerce stores cannot fill those gaps, there are other ways online stores can fill those voids. By creating an intuitive, easy-to-use website, the website will run efficiently, making it easier for customers to find exactly what it is they are looking for. Moreover, try to keep prices reasonable, especially shipping costs. Websites that offer special deals, such as free shipping over a certain number spent, free returns policy, or a rewards program for being a member are particularly attractive to customers, for they are more likely to spend a little more in order to receive those discounts. For ecommerce sites, the best tool to growing the business is to utilize all forms of marketing, including social media, email marketing, and even radio and TV commercials. Social media marketing has been one of the best forms of communication with customers for businesses, as social media allows businesses to reach customers globally. Through targeted marketing over platforms like Twitter, Facebook, Pinterest, and Instagram, businesses can reach a variety of consumers with spending little to no money from their marketing budget. With Google favoring websites that are compatible with mobile devices, more and more businesses are creating apps customers can download. Apps are more streamlined, which makes the interface more conducive for customers. If a website is difficult to navigate over mobile, customers are more likely to look elsewhere for a product, thus taking the time to create a useable app can help grow your business exponentially. Opt-in offers are a great way to get potential customers to join your mailing list. While the pop up offers might be annoying at times, they are proven to increase conversion rates. You can configure them on the ecommerce website to be less obtrusive or only popup within a specific time frame. If you are serious about starting a successful ecommerce business, then you should utilize popup offers to build a mailing list to promote your products. Having a successful ecommerce business might be challenging in the beginning stages, but taking the right steps can lead to a growing, stable business future. Next, you should consider learning about sales forecasting to give your business the best chance at maximizing online sales from the start.